If you are SELLING a product/service, there isn’t a better place than New York. Largest density of Fortune 500 companies is New York City. In addition, there is a high concentration of universities, K-12 schools, hospitals, physicians, financial services firms, real estate related firms, construction projects, local retailers and there are 8.3M people. 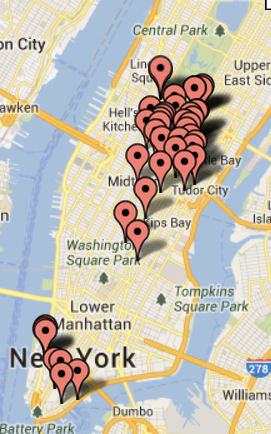 If you can’t find customers in NYC, you won’t have a better chance in any other region. Startups, no excuses of why you can’t close a lot of business in this town.